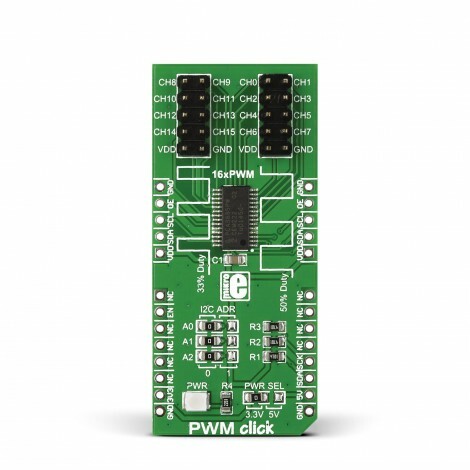 PWM click is a simple solution for controlling 16 PWM outputs through a single I2C interface. You can use it to control anything from a simple LED strip to a complex robot with a multitude of moving parts. 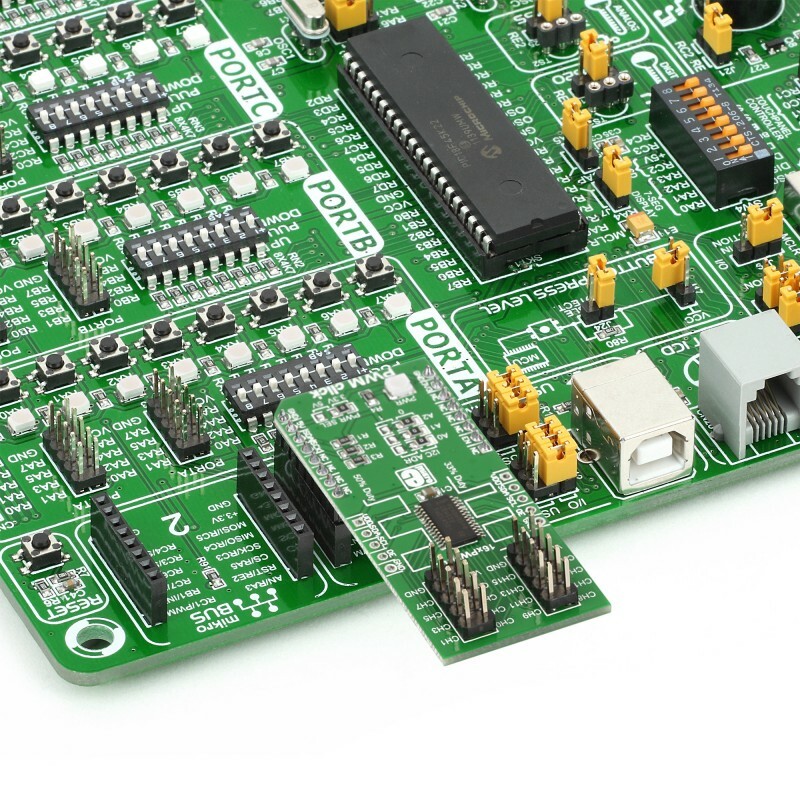 PWM click is a simple solution for controlling 16 PWM outputs through a single I2C interface. You can use it to control anything from a simple LED strip to a complex robot with a multitude of moving parts. The click board carries the PCA9685PW IC. 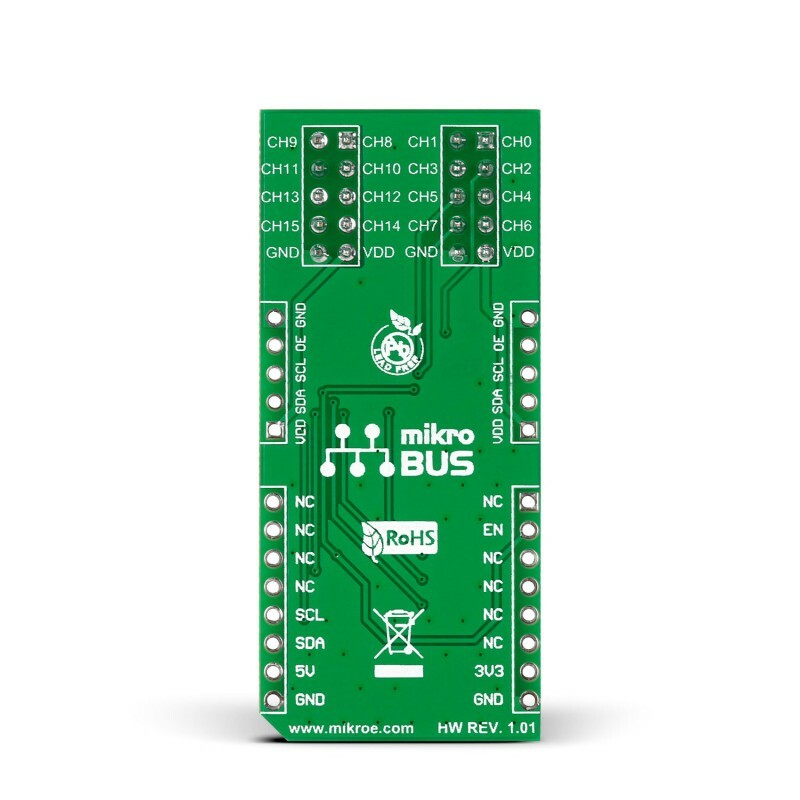 The board has an additional set of pins that allow you to connect up to seven PWM clicks together (using three jumpers to specify a different I2C address for each one). This will allow you to get a total of 112 pwm outputs on a single I2C line. 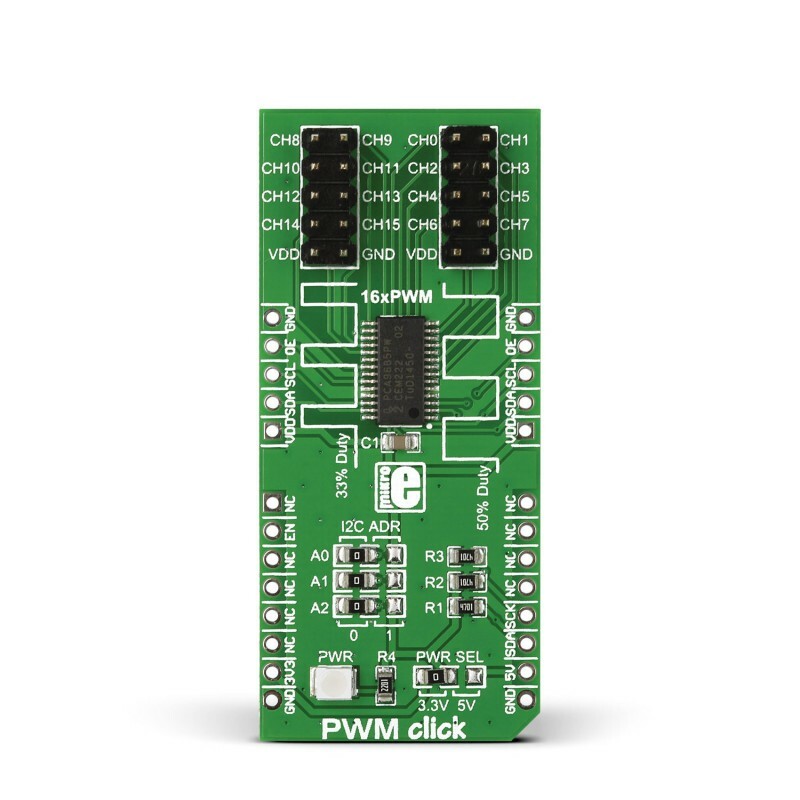 PWM click is designed to use either a 3.3V or 5V power supply. 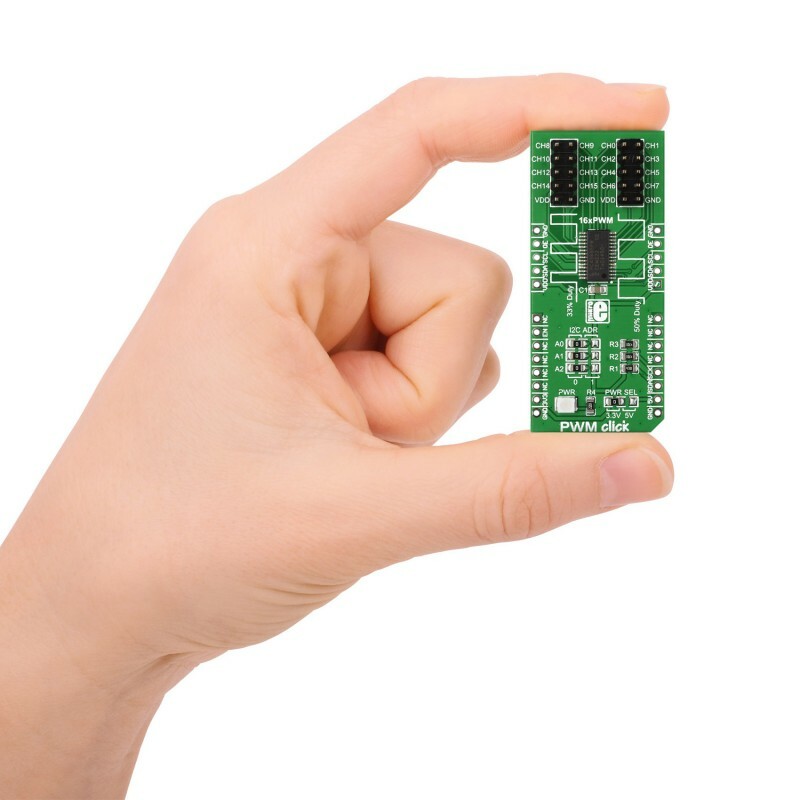 Applications Control 16 PWM outputs (or up to 112 if multiple PWM clicks are connected) through a single I2C interface. Ideal for robots, LED drivers, servo motors etc. PWM stands for pulse width modulation and can be a way of simulating analog voltage outputs. The most common usage of this type of modulation is driving motors, LEDs, heaters or anything other that can be driven with varying analog values.